How to create your perfect family garden! Have they seen something that works really well? Is there a certain type of play they love? What have they grown out of? Are there any favourite plants they would like to grow? Do they like playing with similar toys outside? Ask them to think of the different seasons, and what they do at different times of the year. Then you need to look at space, cost, practicality and long-term use. The reality is, kids, go through stages really fast, so you don’t want to build something that they will grow out of in 12 months. I’m a big believer that in order for kids to naturally care for their garden, they have to fall in love with it and the fun it creates. Creating spaces they can enjoy helps generate a sense of ownership and belonging at a young age whilst also guiding basic life skills. This connects them with nature, and helps them appreciate true life balance away from the technology of today. Let’s not forget the rest of the family though, by asking your partner what they would like, ensures you are all in the garden at the same time. Adults need space to unwind and rebalance plus have an area to socialize with family and friends. Get out your tape measure, string line, and notebook. 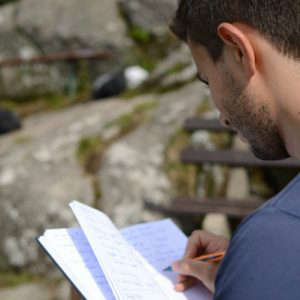 It’s time to work out what will be included, how it will look and what your ultimate objection is. Start by creating zones, and think about the effects one zone will have on the other and how they will connect or be separated. Watch the sunlight change over your garden during the day and during the different seasons, and consider which plants will survive in these conditions. Maximising light and choosing the right plants, will have a major impact on your gardens usability. There are a few vital things to consider when planning your greenery. Be mindful of how robust plants are, make sure you don’t have any dangerous or poisonous plants, including an area for edible plants and think about how your plants will affect an area with shade as they grow in size. Wormwood ‘Powis Castle’ which is a fragrant ornamental plant grown for its silvery-grey leaves. Very hardy & low maintenance. 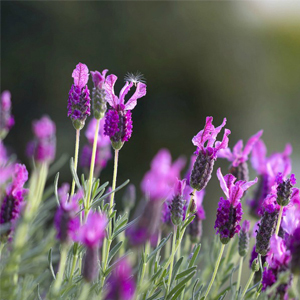 French lavender which is awesome for attracting bees into your garden and thrives in hot, sunny positions. You can check out their list here if you have any concerns. Sydney Children’s Hospital Network. Planting a food garden is definitely something I would include. We like to run by the motto ‘if you can eat it, plant it”. I have found over the years that the best results happen when the kids are engaged from the beginning. Then they can learn the important process of growing from seed and the plant life cycle. We have a very helpful guide on growing veggies from seed & a guide to the best edible plants to grow with kids to help get you started on the right foot. If your kids are young I would highly recommend raised garden beds. Not only will this protect the plants from being trampled on it will also help define pathways and establish boundaries so kids can play without worry. Younger kids are going to want to be close to the house, and older kids are going to want more space and privacy, so consider where the kid’s area will be in proximity to your house and adult entertaining areas. Consider spaces to explore nature by planting flowers, foraging through leaves and ground cover. Sensory gardens are really popular at the moment, and allow kids to experience nature on a completely different level. Think about creating secret spaces, like snowpea teepees’, special paths or even a bridge. Think about the type of lawn you chose and make sure it’s hard wearing. 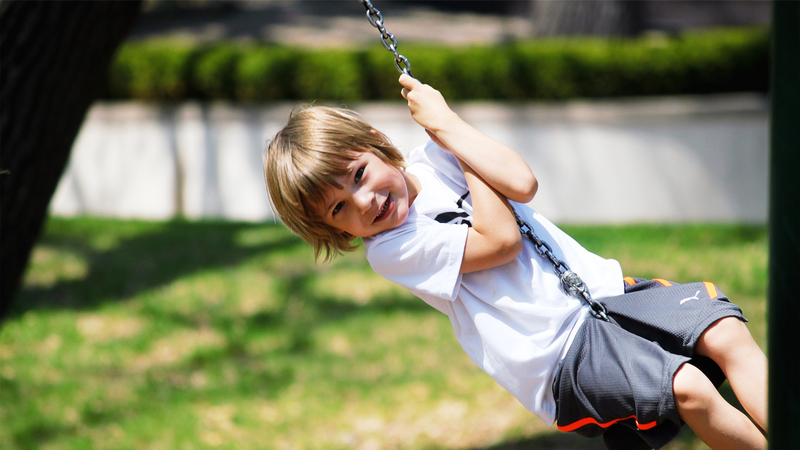 If you have space, consider play equipment like swings, or cubby houses that work within their zone. Make sure you don’t forget some special weatherproof seating as well. Kids love to sit and do water play or make their special herb & flower potions. I also like to give the kids an area to make mud. It’s amazing how many mud pies you can make when you are young. Instantly when you think of pets, dogs and cats come to mind. Dogs will need a lot more space to run, dig and forage. Be mindful that they will wear a path in your lawn from tracking back and forward around the yard, so allow for this in your design. Cats, on the other hand, will head straight for the freshly dug soil and use this as a litter tray, so try and deter them by adding a twiggy surface which is much less attractive to scratch. 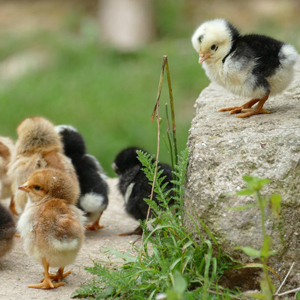 It’s chickens that will be your best investment in a family garden, especially if you are looking to live a more sustainable life. Check with your local council if chickens are allowed in your area first. Chickens are so much more than fresh eggs, although that in itself is pretty fantastic. They also reduce waste by eating your produce scraps from the kitchen, provide organic fertiliser for your garden, and enrich your soil across your whole garden. An important part of your family garden is one that allows space for adults where they can relax and enjoy the sanctuary. I highly recommend investing in some comfy seating so you can truly relax after a day in the garden. Consider your choice of furniture based on if it will be in the weather or not. I quite like the hanging seat or outdoor beanbags as a relaxing option to sink into around a warm outdoor heater or firepit. You can also get curved lounges with coffee tables which would look great around a fire pit. There are so many options for a dining table, you can go with bench chairs, long tables, benches with stools or a more relaxed wicker style setting. Whatever space or style preference, make sure they are comfortable and cater to your family. Cooking outside has definitely risen to a new level in Australia, as well as BBQ’s, you have a wide choice of specialised options such as pizza ovens, teppanyaki pits, gills, spit roasters and so much more. Think about what space you have and how your family likes to cook outside. Ponds are a lovely way to attract wildlife, however, can be very dangerous with small kids, so find out all there is to know before investing in a fountain, water feature or pond and keep your family safe. Providing food and water for birds, animals and insects is a lovely way to educate the kids and enjoy all that nature has to offer. You can plant flowers that attract butterflies and bees into your garden and create some lovely handmade birdfeeders and birdhouses to encourage native birds. You can also plant to attract native birds by providing cover for them to safely nest and enjoy. Check out our craft activity for the kids to make their own birdhouses. Creating a garden that meets the needs of your whole family is the start of something magic because what you are doing is creating childhood memories that will be passed down through your family for generations to come.